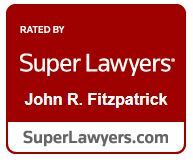 John R. Fitzpatrick provides exceptional legal representation to clients throughout Arizona in connection with a variety of matters, including probate, estate and trust disputes, guardianships and conservatorships, probate and intestate administration, and financial exploitation issues. With over 20 years of legal experience, Mr. Fitzpatrick has successfully assisted individuals, family groups and corporate fiduciaries with even the most complex and contentious disputes in wills and probate matters. In his continued efforts to remain at the forefront of the field, Mr. Fitzpatrick is committed to keeping abreast of the complex and dynamic laws that estate matters in Arizona, including the recently enacted Arizona Trust Code, the Arizona Rules of Probate Procedure, and recently amended financial exploitation statutes. As testament to his reputation in the legal community, Mr. Fitzpatrick enjoys a long-standing “AV” Rating from Martindale-Hubbell, the highest peer rating attainable, signifying preeminent legal ability and ethical standards. Inheritance disputes and probate administration can prove to be some of the most difficult and stressful legal matters an individual may ever confront. For this reason, you need more than just an attorney – you need a trusted advisor. Combining the sophisticated capabilities of a very highly regarded large firm with close personal attention, Mr. Fitzpatrick is dedicated to providing the individualized, responsive client service you deserve. If you or a loved one is being financially exploited, or need assistance with a probate matter, inheritance dispute, guardianship, or conservatorship, contact John R. Fitzpatrick, Attorney at Law today, or call us at 602-277-2010.